One of the main tourist attractions close to Windmill Lodges is the Suffolk resort of Southwold. Its sandy beaches, fabulous pier and great range of independent shops make it a must-see – perfect to visit during your log cabin short breaks. But much of Southwold’s wealth has been founded not just on the tourist trade, but on the brewing business, especially Adnams. We have compiled these five unusual facts about the brewery, which has long been associated with the town. Beer has been brewed in Southwold since the 14th century – but it hasn’t always been by Adnams. In 1345 Johanna de Corby was fined by the manorial court for serving ale in unmarked measures – or, to give the offence its true name, breaking the assize of ale. She was known as an ‘ale wife’ because in those days brewing was the preserve of women. Her husband apparently had form too, though. Robert de Corby was Southwold’s baker and he is reputed to have sold underweight loaves of bread. 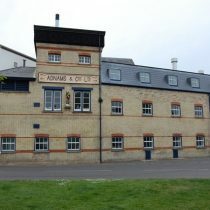 The current brewery was formed when George and Ernest Adnams bought the Sole Bay brewery with the help of their father in 1872, and the company was officially incorporated in 1890. During the Great Flood of 1953, hundreds of lives were lost when a great surge tide affected large parts of the East Coast and the Netherlands. In Southwold, five people lost their lives, and the resort was virtually cut off for two days and nights. However, for some people it was still business as usual. The Harbour Inn was flooded to first floor level, and the pub still has the mark on it today. The landlord at the time, though, insisted on staying open and supplies of Adnams were rowed to the pub. Adnams has a long history of producing new beers to celebrate major events and landmarks. Their Smoked Ruby Ale marks the 1659 Great Fire of Southwold, which destroyed large parts of the town. Adnams Broadside commemorates the Battle of Sole Bay, which was fought against the Dutch in 1672 just off the coast at Southwold. Royal occasions have regularly been honoured with a new brew. In 2011 Adnams’ Royal Wedding Ale marked the marriage of Prince William and Kate Middleton. The Queen has been honoured with a Celebration Ale for her silver jubilee and a Diamond Ale for her 60th year on the throne. Until 1953, and from 1970 until 2010, casks of Adnams were delivered to pubs in Southwold via dray horses. The tradition only ended because the company had built a new distribution centre in the neighbouring village of Reydon and was worried about the distance and the traffic. Adnams runs and owns a number of pubs in Southwold and the surrounding towns and villages. 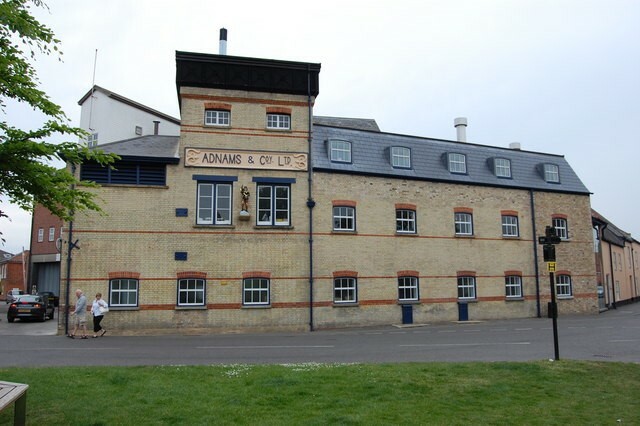 Many towns, including Woodbridge, Hadleigh and Bury St Edmunds as well as Southwold, have their own Adnams Cellar and Store, selling kitchenware and a wide selection of wine as well as a full range of the brewery’s beers. The company now exports to several countries around the world, including Abu Dhabi and Australia, Belgium and Brazil, and Switzerland and Sweden. In Southwold, you can go on a tour of the brewery in East Green. Staff explain the process of creating a pint of Adnams before giving you the chance to taste one (or two!). You can also see the Copper House Distillery, where the company creates its award-winning range of spirits. If you fancy a log cabin short break in Suffolk, and you want to find out more about Adnams for yourself, then Windmill Lodges’ Saxtead base is only 20 miles from Southwold. Our authentic log cabins all have their own private hot tub, fully equipped kitchens, en-suite shower rooms, TVs and free Wi-Fi. Two of our lodges, Woodpecker and Wagtail, have the added advantage of being pet-friendly. And we also offer our guests welcome wine and prosecco – supplied by Adnams of Woodbridge. If you would like to know more about our latest availability of any of our lodges, just follow this link, then fill in the online form.